It's hard to tell from this photo, but the new mini album I made for a class I'm teaching at Scrapbook Corner is covered in glitter! (As a result, so is my craft table.) I added some extra ribbons to the binding rings once I got it to the store, so it looks even fancier now. I made the album and the giant snowflake on the cover with the store's AccuCut machine. The album features papers from the new Basic Grey Figgy Pudding line and My Mind's Eye Frost and Festive lines. It's just my style, a little grungy and distressed around the edges. I'll upload the entire album to my SBO gallery once I get it back from the store. Yo Ho, Sending Christmas Cards! 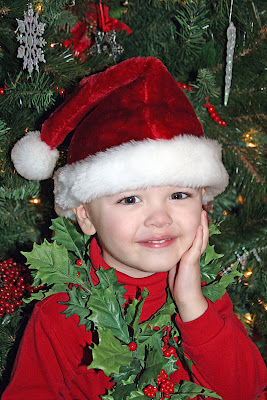 So it's that time again, time to get the yearly photo for the Christmas cards. We tried a few different things today and came up with several good choices. Here are a few of my favorites. I guess now I have to go make the cards! 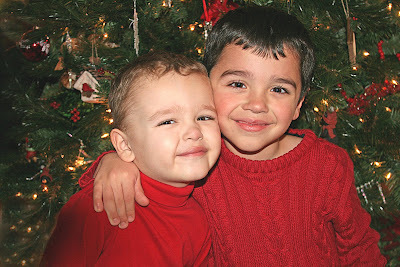 Our holiday was filled with family and good food - we have been blessed with both. We are officially in full Christmas mode now...let the games begin! 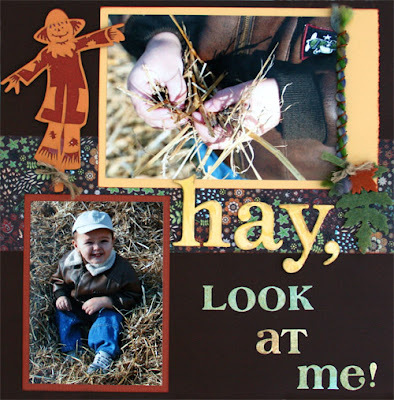 We are having a blast this weekend at Scrapbooker Online's Fall Cybercrop. I made this album of Matthew's Halloween photos for the Mish Mash Mini Mini challenge to use different shapes and sizes of pages. You can see the entire album here. I was surprised at how quickly it came together and how much I adore the end result. 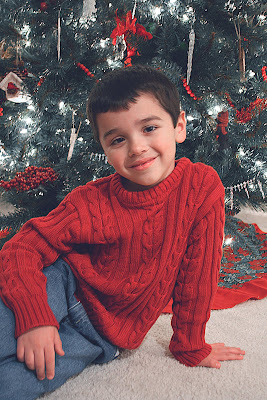 But with a face like that, how could it not be cute? 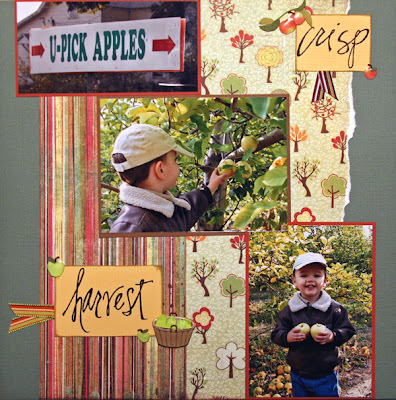 The first apple picking layout was a lift of a former monthly winner at SBO, my dear friend Patti. This final apple picking layout was for the seasonal challenge. I also completed a photo scavenger hunt and a word scramble game. There are still lots of games and challenges to try, so stop by and join in the fun. Most games and challenges have SBO gift certificates as prizes - good luck! I absolutely LOVE the fall. I love pumpkins, most things that are orange, crunchy leaves, blue skies...all of it. 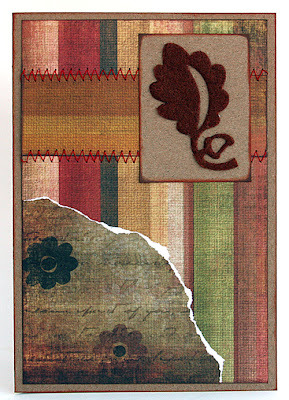 I have been having fun playing with new fall scrapbook supplies and mixing in plenty of things from my stash. 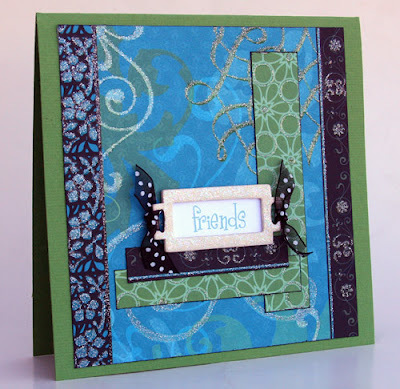 I made this card for Di Hickman's blog and today's sketch release. Enjoy your day! 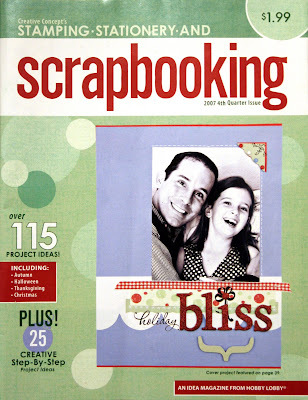 The 4th quarter issue of Hobby Lobby's "Stamping, Stationery and Scrapbooking" magazine is now in their stores. 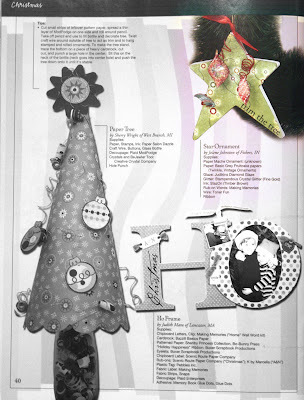 Check out page 40 to see my paper mache ornament covered with Basic Grey's Fruitcake line, glitter and wire. Click on the image below for a closer view. What's ironic is that the ornament was photographed wrong! There are three small ornaments that dangle on twisted wires from the main one, and the bottom mini-ornament is flipped up in the photo. Oh well, the photographer probably didn't even notice! The magazine is only $2 or is free when you make a $10 purchase at the store - available only at Hobby Lobby. Enjoy! This layout was a hoot to make! 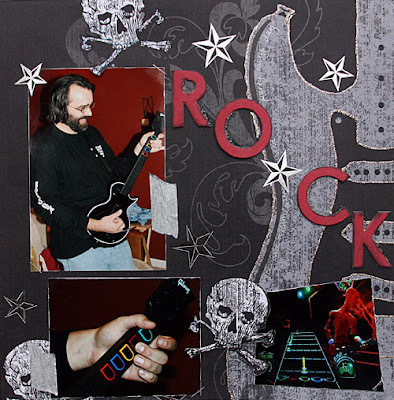 Scott recently got Guitar Hero III and has been having a lot of fun with it. I snapped these pics the first night it came into the house, and we have never been the same since! I made the layout for the November Special K challenge at SBO. My project had to include staples, song lyrics, masking tape, beads and flourishes. How's THAT for a list? I really like how it turned out. A little grunge and bling in the same layout! You can see detail photos and get the full supply list here. Rock on! 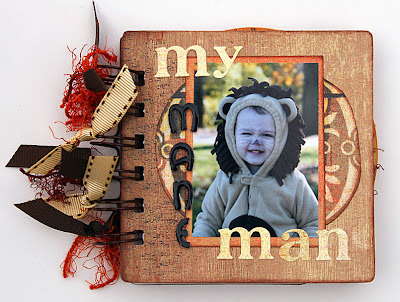 This is the layout I finished last night for SBO's November Week #1 challenge. I love how it turned out! And here's the full image of the card I made for Basically Scrapbooking. 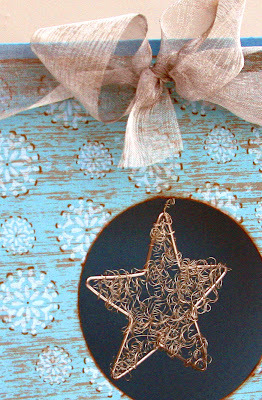 The front of the card features a circle window cut-out with a wire star suspended in the opening. I have a few more of the wire stars and can't wait to find new ways to showcase them. I got my latest DT kit from Basically Scrapbooking, and it included some interesting materials for me to use when making Christmas cards. I can't share the projects until the next newsletter release, but here's a sneaky peek of one card I really enjoyed making. Tonight I worked on this week's challenge at SBO to include pop dots, deco edge scissors and felt on a layout. Ironically that isn't a challenge for me! I have been using those items quite a bit lately. It was fun to pull this layout together. I'll post it in the morning when I can get enough light to photograph it. See ya then! 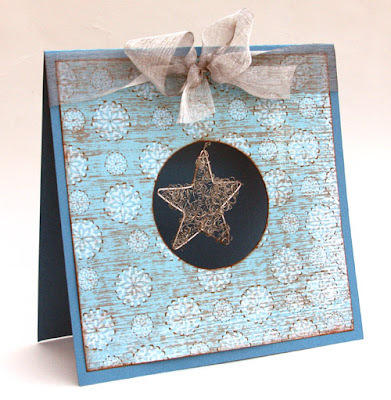 I have been enjoying my Die Cuts With a View "All Dressed Up" stack lately, especially for making cards. The little bits of infused glitter make the papers so fun to use. My scrapping buddy Celeste encouraged me to bling up my bookplate for this card to match the papers, and her idea was a good one. Thanks, Celeste! 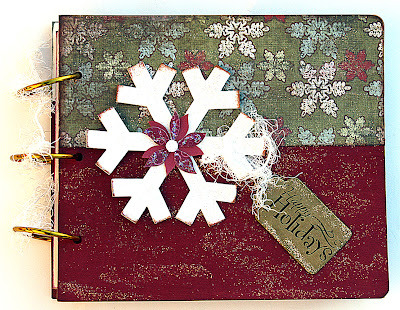 I got some great news today that Crafts 'n Things magazine will be using some winter cards of mine in December 2008. One card features a reindeer that I cut with my Cricut, and it is my absolute favorite of the season! Can't wait to share it when it hits the magazine. Looks like we have a while to wait! I am starting to scrap some of the fantastic photos I took of Matthew at Tuttles Orchard a few weeks ago. This layout about choosing the perfect pumpkin uses the November sketch by my buddy Di Hickman. It also fulfilled the requirements for Little Birdie's (aka Corey) weekend challenge at SBO. It was a little tricky, but I managed to get all the elements in there!